Today, Chile should be proud to know, that the country is being represented in the 2013 Beijing International Jewelry Art Biennale, with a selection of jewels created by the Chilean Jewellery Artist, Carolina Gimeno. The exhibition will belong to the 2013 Beijing International Design Week, as one of the exhibitions areas and will take place at Millennium Monument Museum of Contemporary Art Beijing. from 28th September to 12th October 2013 in Beijing, China. The main theme of the Biennale is Jewelry Identity which aims to show an exchange of different cultures. In addition is also focus on pushing forward the development of diversified art works and providing platform and space for different art concepts and ideas. 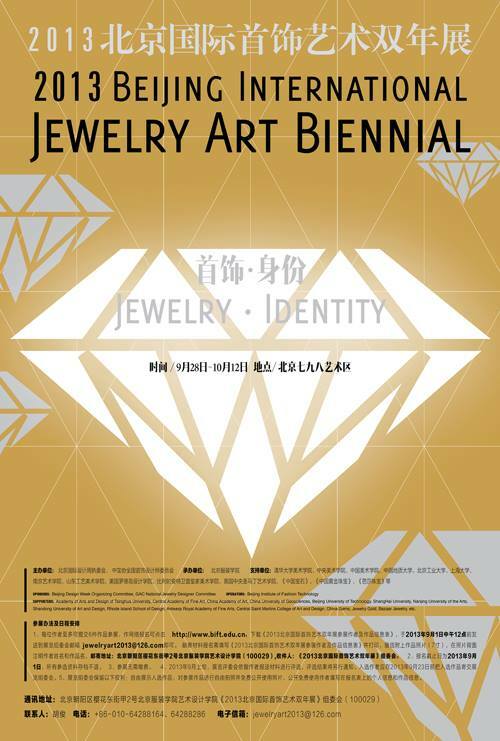 As one of three main exhibitions of Beijing International Design Week, Beijing International Jewelry Exhibition is hold by Beijing International Design Week Organizing Committee, The Ministry of Land and Resources Jewelry Jade Jewelry Management Center and Beijing Institute of Fashion Technology, and organized by Beijing Institute of Fashion Technology College of Art & Design and Gehua Culture Center Co. Ltd. This Necklace belongs to the serie Kañpële, and is one of five jewels that are being represented by Carolina Gimeno in the 2013 Beijing International Art Jewelry Biennale. 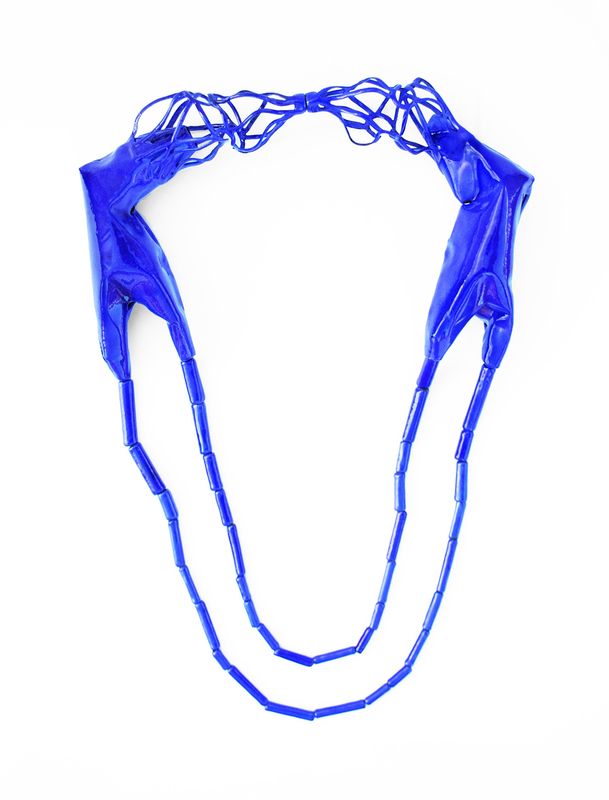 Necklace | Copper, Vitreous Enamel, Silver | 2012 | KÄÑPELE, The other side of pair organs. “Kañpële, the other side of pair organs” is the tittle of a serie made by the artist between 2011-2012. The shapes, colours and names of this serie refers to Mapuche language; “Mapudungun”. Each word used to give a name to the jewels , speaks about the connection between human beings and the relations of vital dependence between two. The decition of use Mapuches language, as cultural inspiration, works as a way of give a value to this unknown culture from where she is from into an international context in the realm of art jewellery. Mapuche, is a native culture that comes from south of Chile, which has an important tradition in the craft of making silver pieces to the body for rituals and beliefs and closely connected to women.